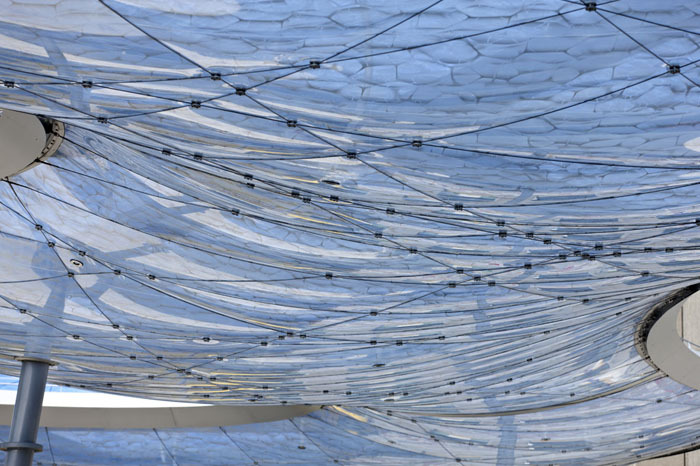 Zurich architects Mateja Vehovar and Stefan Jauslin designed this reflective and semi-translucent, bluish ETFE canopy that reminds us of an air cushion. 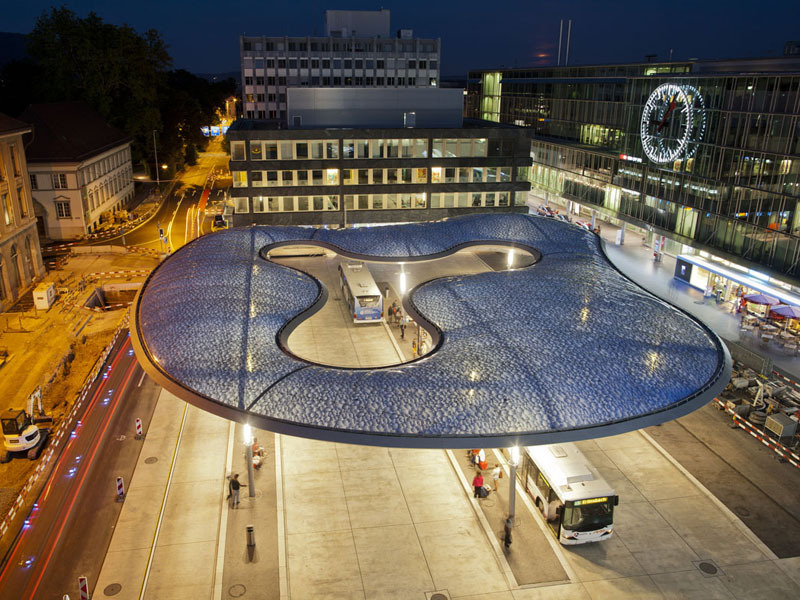 Hovering over the bus station, this bubble canopy features a fine print courtesy Jauslin and Paolo Monaco. 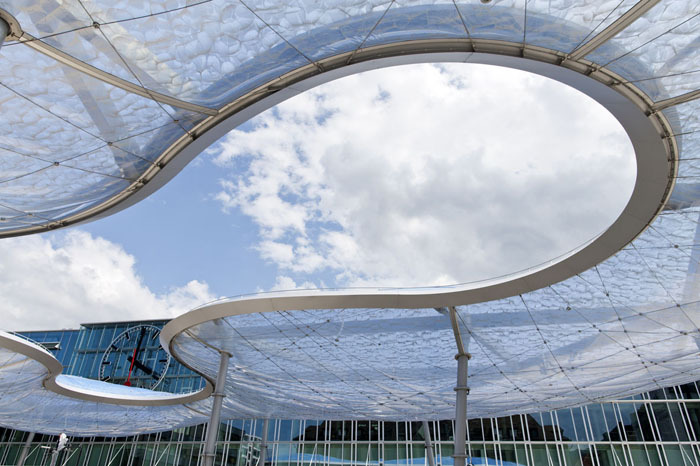 Boasting a volume of 1810 cu m, the cloud roof is one of the world's largest single-chamber membrane air cushions. This pneumatic wonder gets recirculated air with the help of four underground 120-metre polyethylene tubes while four others carry the air back to the control unit. Quietly inclined pillars brace the canopy making it appear as light as a cloud.